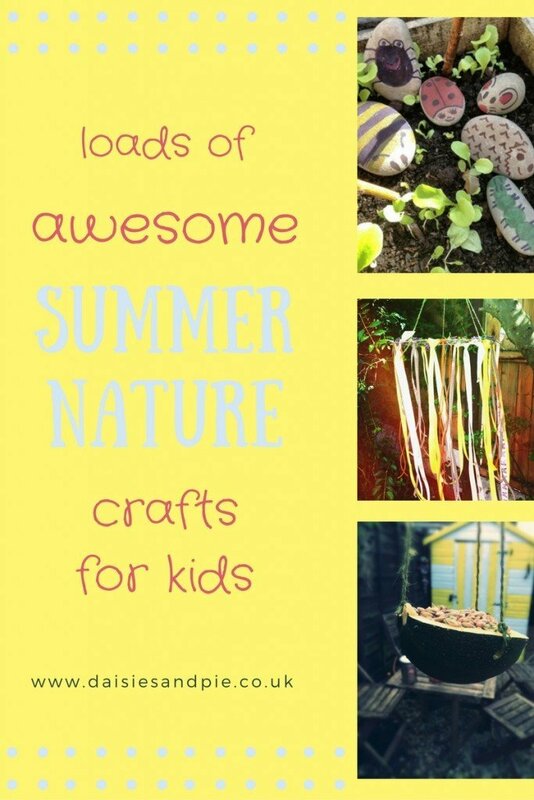 Totally gorgeous summer nature crafts to get the kids out there and creating. A beautiful little flower petal craft from Play and Learn Every Day. We love this pretty craft, it’s simple and makes a lovely summer keepsake. 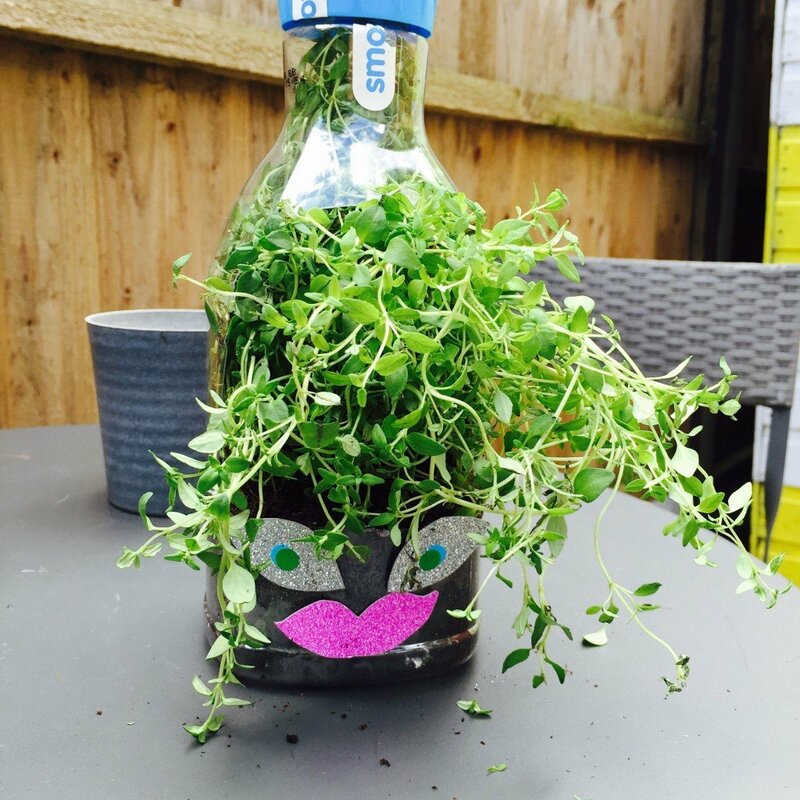 Create a whacky up cycled juice bottle planter that grows fresh herbs as hair. A super cute craft from our kids activities at Daisies & Pie. Create some beautiful art work using dandelions as your paint brushes, so that’s the weeding done and a creative activity! Brilliant idea from Coffee, Cake, Kids. Taking time on the beach to pick up driftwood and shells is a fab idea especially when you can turn it into a beautiful driftwood wind chime, we love this one from The Boy and Me. 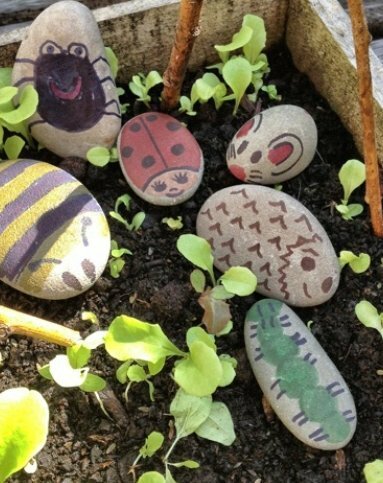 Follow up that beach trip with a craft session making these cute little pebble creatures. One of our gorgeous kids activities here at Daisies & Pie. We adore this sweet little fairy house made from natural materials, such a lovely simple play idea from The Gingerbread House. We’re loving this musical little use of shells, so pretty and simple. Get the full instructions from The Boy and Me. 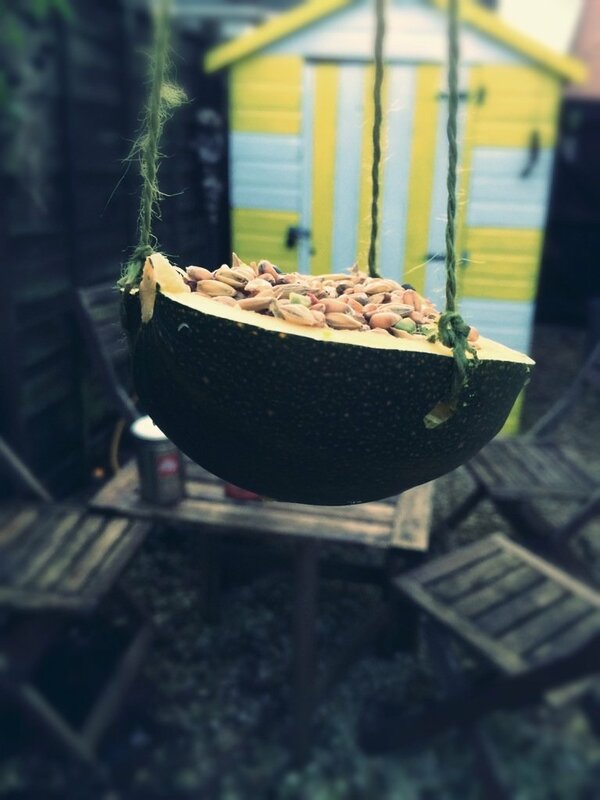 Get the kids busy making this simple natural bird feeder for the garden birds. One of our fab kids activities here at Daisies & Pie. A beautiful craft using decorated sea shore pebbles to create fabulous stories – get the instructions from Crafts on Sea. This is one of our favourite summer nature crafts, all kids need to make Stickman! (especially if they love the Julia Donaldson book as much as we did) Get the full instructions from over at The Mad House. Make cute little summer keepsakes with the great idea for turning those precious shell collections into decorations from Crafts on Sea. A lovely nature craft from Growing Family, pick a stick, go for a walk and collect beautiful little keepsakes along the way. Such a sweet idea. 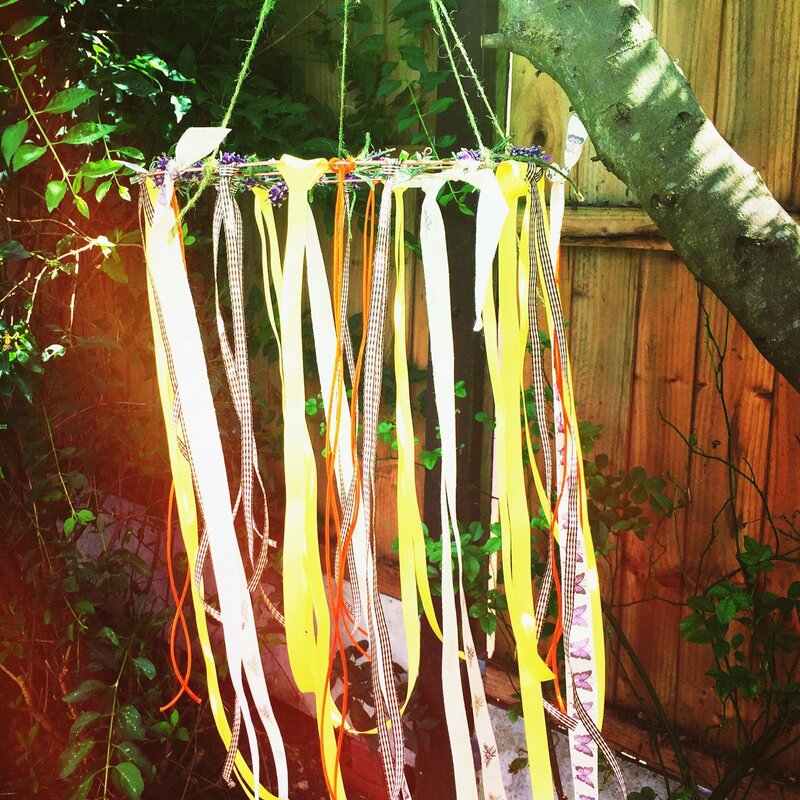 These pretty ribbon and flower wind catchers are a lovely way to explore nature and learn about wind, get the full instructions from our kids activities at Daisies & Pie.